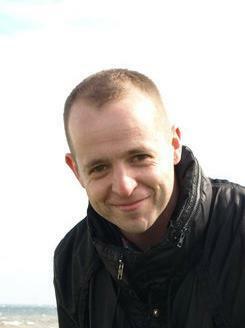 Andy Donaldson was born and grew up in Cults, by Aberdeen, attending Cults Academy and later Glasgow University to study English. With a later degree in Communications from the Robert Gordon University he started work in London as a web copywriter, quickly developing his interest in digital technology, and in particular the way it was changing the ways we communicate. He is currently Senior Digital Manager for a leading financial services company with responsibility for their digital communications platforms and social media activity. Andy’s previous published works are so far limited to a match report of Arbroath v Alloa Athletic in the Scottish 2nd Division in 2003, in which Arbroath came from behind to win 3-1. He lives in Edinburgh. The Guardian has selected Terrible Estate Agent Photos in its feature on the best stocking fillers for 2014. Andy Donaldson’s hilarious new book Terrible Estate Agent Photos is generating huge interest, including this piece in the New York Daily News. Terrible Estate Agent Photos is at number one in an Independent feature on the best ‘loo book’ stocking fillers. Andy Donaldson’s NPR interview is now online here. 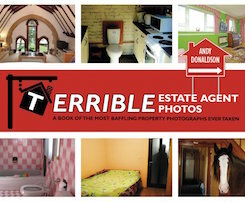 Andy is currently promoting his hilarious new book Terrible Estate Agent Photos. 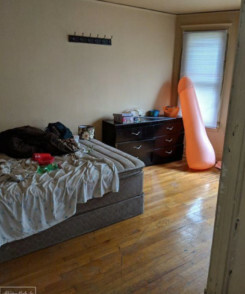 Terrible Estate Agent Photos was the lead story on MailOnline yesterday. Andy Donaldson’s book is out at the beginning of September.